Bedtime Belly Buster Bundle - Bust Your Belly, Overnight! Bedtime Belly Buster Bundle £ £74.58In stock! Order now! While Isagenix offers meal-replacement and snacking options to keep you sustained throughout the day, our brand also offers nutritional supplements to prime your body for rest and recovery. The Isagenix Bedtime Bundle works perfectly as a pre-bedtime snack, combining both IsaPro and Ionix Supreme with IsaMove Capsules for supplementation. This powerful bundle combines a specially-formulated blend of whey protein and additional nutrients in order to prepare your body to continue to build lean muscle mass, shred fat, and support your overall health as you sleep. 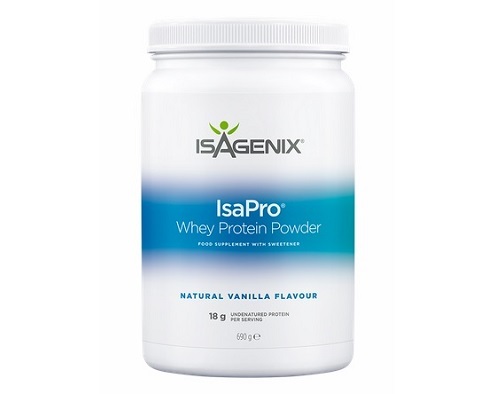 IsaPro is a signature blend containing 18 grams of whey protein per serving. It is the perfect combination of amino acids for supporting muscle growth and promoting muscle recovery and repair. This whopping portion of protein will keep you satiated as you sleep and counteract any risks of waking up for a midnight snack or an early-morning binge. 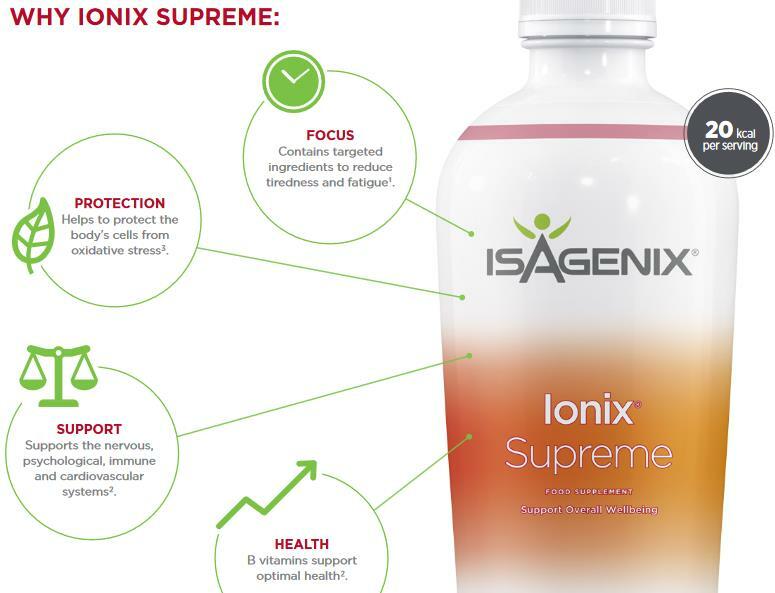 Ionix Supreme is a nutrient-dense botanical solution. Using a potent blend of B vitamins and minerals, This supplement primes your body to actively condition its nervous, immune, and cardiovascular systems while you sleep. When taking this supplement, you will improve your metabolism, wake up feeling refreshed, and reduce your tiredness and fatigue throughout the day. IsaMove is a supplement to be taken nightly that blends magnesium, psyllium, and peppermint. When working together, these natural ingredients equilibrate your metabolism, nourish your nervous system, and improve muscle function and protein synthesis. 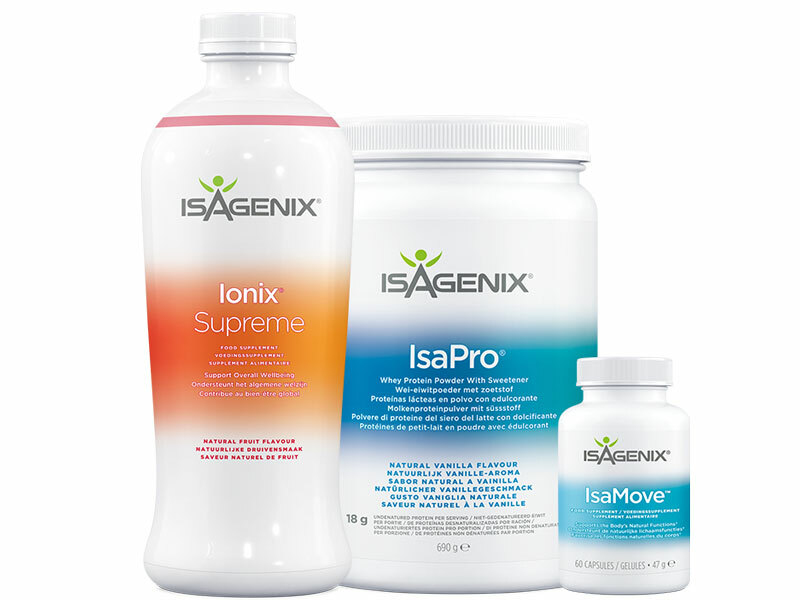 In combination, the Bedtime Bundle is the perfect way to wind down at the end of the day, ensure a restful and recuperative night of sleep, and wake up feeling refreshed and ready to continue dieting with Isagenix products the following day. When you confide in Isagenix for all of your dietary needs, you will notice how much more efficiently your body burns fat and brings you the results you’ve been waiting to achieve for a long time. If you want to perform at your peak, purchase the Bedtime Belly Buster Bundle directly from us. All products are shipped from the local distribution centre in London, right to your door in no time at all. If you live in the UK (or other parts of Europe), it’s time to join the Isagenix revolution and take your performance to a whole new level! How Much is The Belly Buster Bundle? Each bundle can be purchased for £104.68 at full retail prices, or sign up with us (UK’s #1 distributor) and pay just £74.58. Read Bedtime Belly Buster Bundle reviews from real Isagenix UK customers!